Automated systems that suspend basal insulin when hypoglycemia is predicted may reduce hypoglycemic exposure without compromising glycemic control in adolescents with type 1 diabetes. Automated systems that suspend basal insulin infusion when hypoglycemia is predicted may reduce hypoglycemia exposure without compromising glycemic control or quality of life in children and adolescents with type 1 diabetes, according to a 6-month, multicenter, controlled home trial published in Diabetes Care. In an intent-to-treat analysis, researchers randomly assigned 154 patients with type 1 diabetes who were ages 8 to 20 years to either the control group (n=74) with sensor-augmented pump therapy (SAPT) alone or the intervention group (n=80) with SAPT and Suspend before low enabled (known as predictive low-glucose management [PLGM]). Both groups demonstrated a reduction in hypoglycemia; however, the magnitude of reduction was greater in the PLGM group. The PLGM group spent approximately half the time in hypoglycemia range and had fewer hypoglycemic events compared with patients in the SAPT group. Patients in the SAPT group did not reduce time spent in hypoglycemia during the day significantly, but showed a mild reduction at night. The use of PLGM reduced both day and nighttime hypoglycemia, with a greater reduction occurring at night. In addition, the decline in hypoglycemia exposure did not result in an increase in hyperglycemia in the PLGM group compared with the SAPT group. An increase from baseline in hemoglobin A1c (HbA1c) was observed in the PLGM group, but there was no difference in HbA1c levels between the groups at the end of 6 months. No change in quality of life measures was reported in either group. 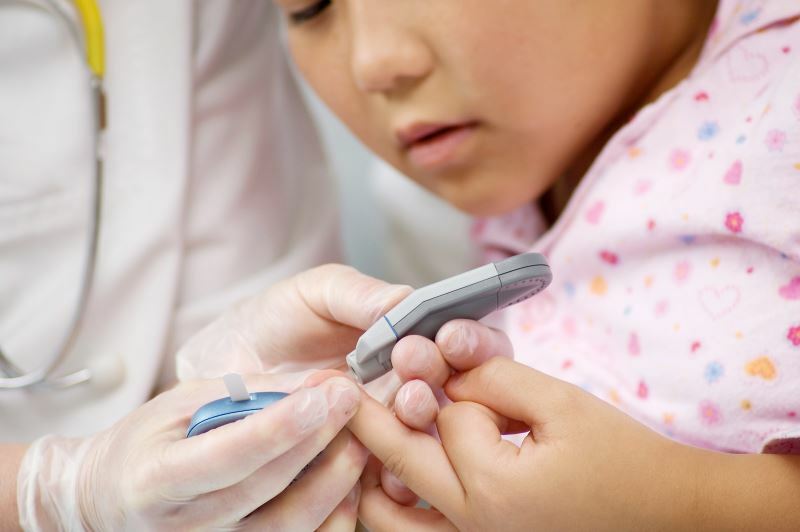 Second-Generation Antipsychotics: Is Diabetes Risk Increased in Children and Adolescents?